The Vizi Q Wash7 is a 280W professional moving head wash fixture with variable zoom (5 ~ 55-degrees) and seven 40W Quad (RGBW) LEDs. 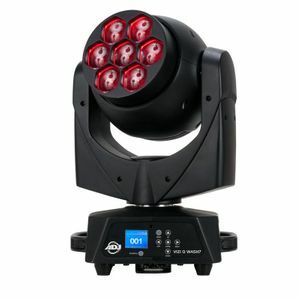 At 280W, this fixture offers very powerful 5-degree beams or brilliant 55-degree washes of color. WiFLY wireless DMX on-board.